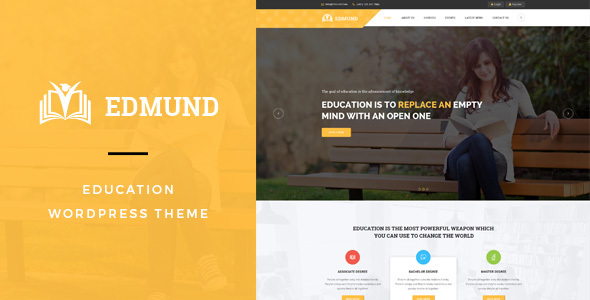 Edmund- Premium University WordPress Theme. However, don’t let the name limit you, you can build perfectly amazing website for Elementary or Secondary School, Learning Center, Education. Also, we understand that you want to present your school informative, inspiring, interesting. Hence, we created this theme with ease of use in mind. With drag n drop tool, this outstanding wordpress theme is easy to build a website as your expectation. Let’s see its demo and build your own amazing website! 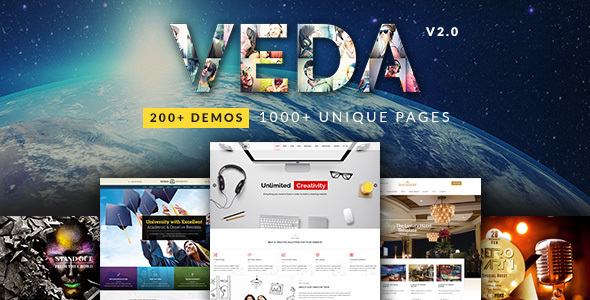 As you can see, Veda- responsive Multi Purpose WordPress Theme with 20 demo pages inside. One impressive thing is that 20 demos are tailor made for Spa, Hotel, Hosting, Business, Events management, Night Club / Party, yoga, Attorney, Plumber, Architecture / Construction, Model, Photography, Wedding, Restaurant, Jewel Shop, Insurance and University. If you are seeking university wordpress theme, you should take a look at this theme. 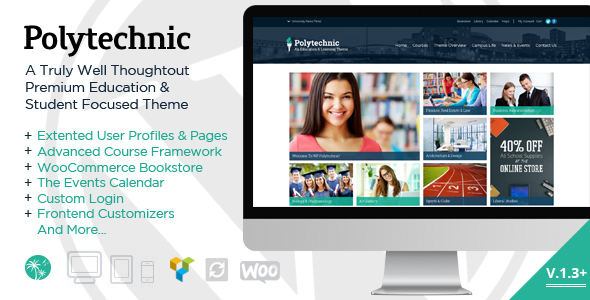 This theme also features Front end Course creation & Management, Course Certificates and Badges, Course pre-requisites, Course start dates, course rating & reviews, Course directory with filters & sorting options, Full Course Import and export with Units, quizzes, questions and Users as well as advanced Quizzing platform for WordPress. 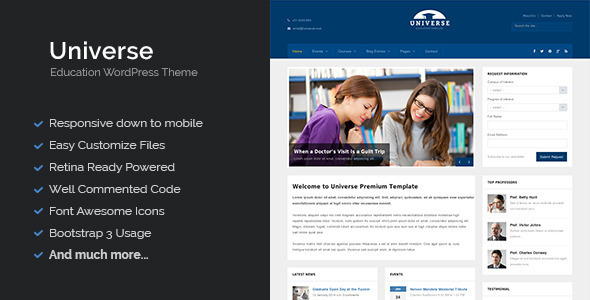 UOCE is another amazing theme you should consider for your university website. 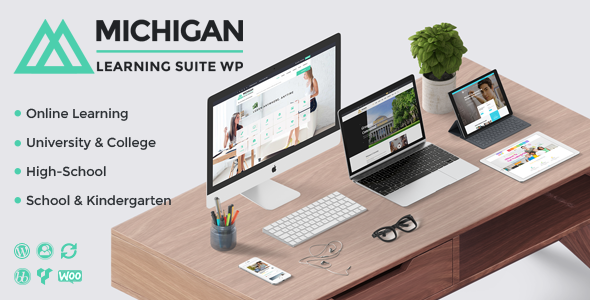 Along with amazing feature, this theme bring you a whole complete couses management system for your online courses including Schedule, Descriptions, Pricing Options and Features. As you may know, this Education WordPress Theme comes with 9+ different and unique demo homepage, drag n drop page builder. 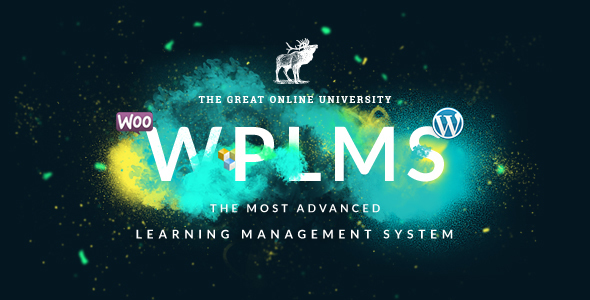 Importantly, Official WordPress LMS, UX optimized for Education. Universe comes with clean and stunning design. Additionally, it offers you multiple custom post type. It is easy to manage courses, events, slides, testimonials and galleries sections, too. Furthermore, free installation included. In case you don’t know how to get started, the support team will install for you. 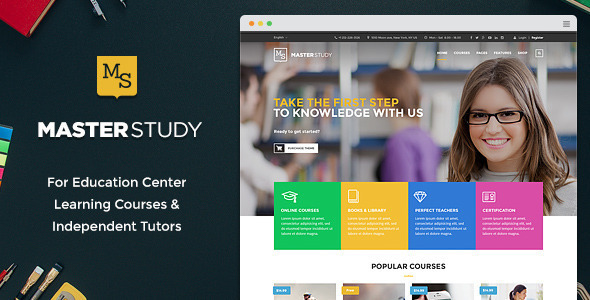 In the first place, Master study is perfect for university and educational center. Besides, Revolution Slider make you slider images stand out with tons of animations. Then, Custom sidebar and widgets help you arrange content and category course. In addition, you can create events and blog posts to attract the learning community. At first, Online university is prominent with user friendly interface; that enable you to manage the classes and entỉre courses in the easy way. Furthermore, the theme is fully compatible with the most popular plugin for elearning. And, you can check the demo to see how it matches your expectation.